How ironic this post comes almost a year to the day of my last post saying I'm still here. SO much has happened in my personal life which has delayed my progress with crocheting and Yarntivity itself unfortunately. However I do lurk the Facebook groups, Ravelry, Etsy, Craftsy, etc. to try to stay atleast mentally connected! TWO new Chrome Themes added!! 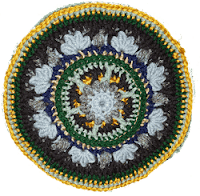 are not more themes out there related to crochet! Hopefully I can fill that gap atleast a little bit. I have a TON more pictures to go through and do plan to provide a large color range for those with favorite colors they would like to see as well. Currently you have seven to choose from and I hope you do enjoy them!! You can find them here. 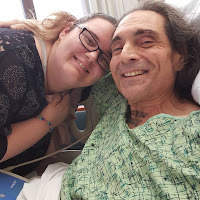 If you have been reading and/or following me for a bit, you know about the medical challenges we face with my husband. He was diagnosed with Multiple Sclerosis in 2005, which has been progressing very rapidly the past five years or so unfortunately. In 2016 we had a cancer scare and he had to get a double mastectomy. If that wasn't enough, and apparently it wasn't, this year he has had another surgery, two hospital stays, two trips in an ambulance and still is recovering from his surgery all the while fighting MS.
Needless to say, I have been busy!! Now with his physical limitations and needing more assistance, it has really cut into my own "down" time which just so happens to be the same as my crochet time. I work full-time as I am the only income for our family of three and I myself am away from the house 12 hours a day, sometimes more depending on the wonderful California traffic (insert sarcasm here...). As I said, I have been going through my pictures of various projects that I have done trying to plan some future crocheting very soon. I also have a few ideas for some patterns up in the noggin but executing them in my limited available time has proven to be challenging. I am hoping to be able to pick things back up very soon!! In the meantime, please enjoy the themes and my patterns. Get notified when a new post is live! 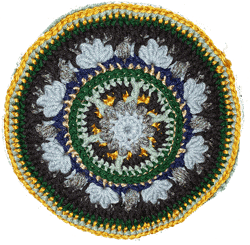 What content is MOST important to you for your favorite crochet blog? This blog contains affiliate links - I may be compensated for some purchases made using the links from this site. 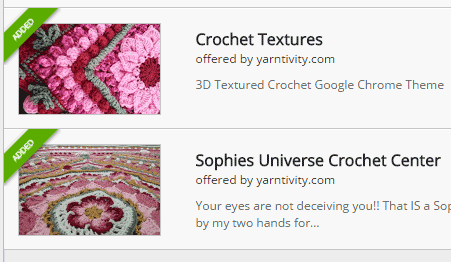 All images, patterns, and content are licensed to Yarntivity Do not copy/reproduce in any way. Picture Window theme. Powered by Blogger.